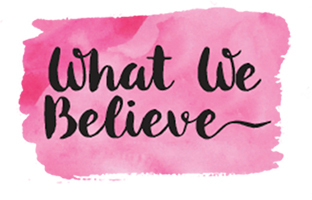 This post is in partnership with Minted. All opinions are my own. Affiliate links may be used. 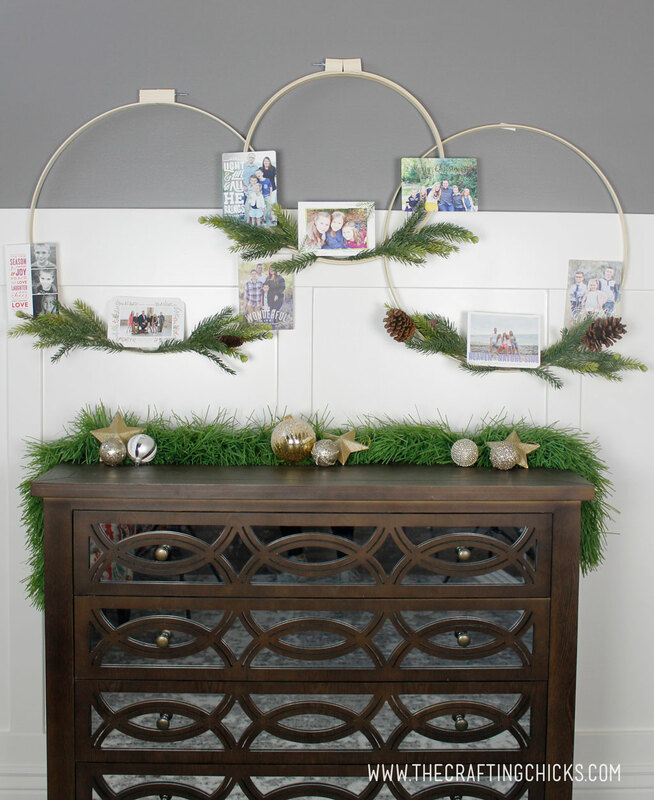 If you love displaying your holiday cards, you are going to love making these Hoop Wreath Christmas Card Holders. 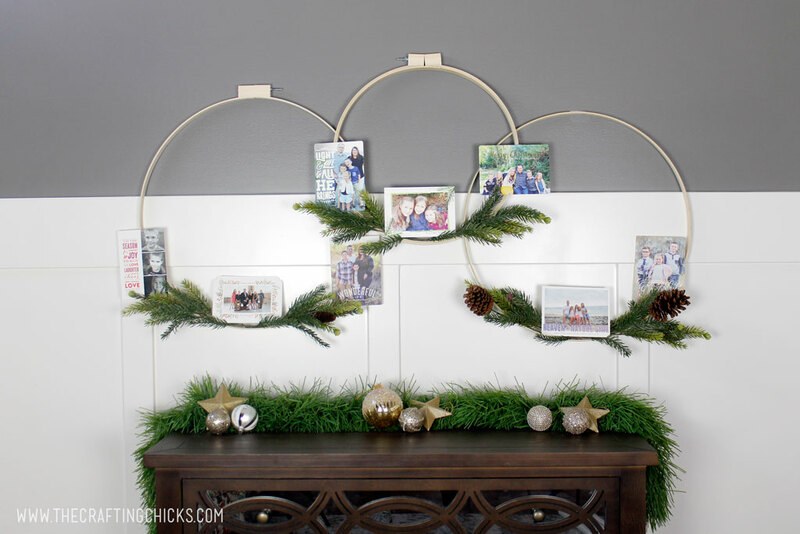 They are perfect as home decor, but double to display any holiday cards you receive. I am in love with this craft because it involves 2 of my favorite things. 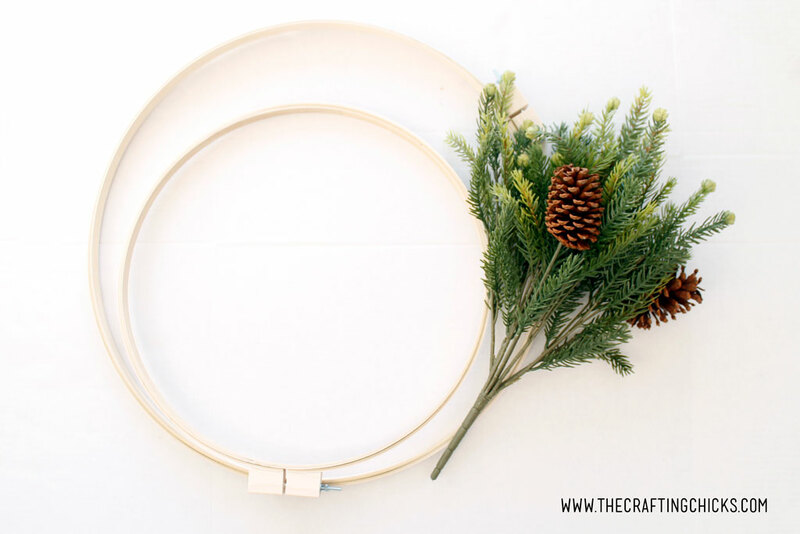 Hoop wreaths, and Christmas cards. 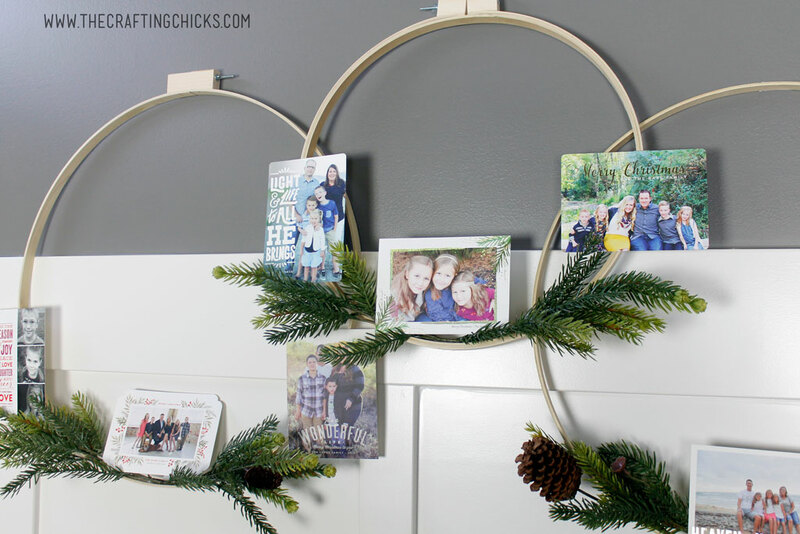 Yes, the hoop wreath trend has taken my heart, and I’m fine with that. 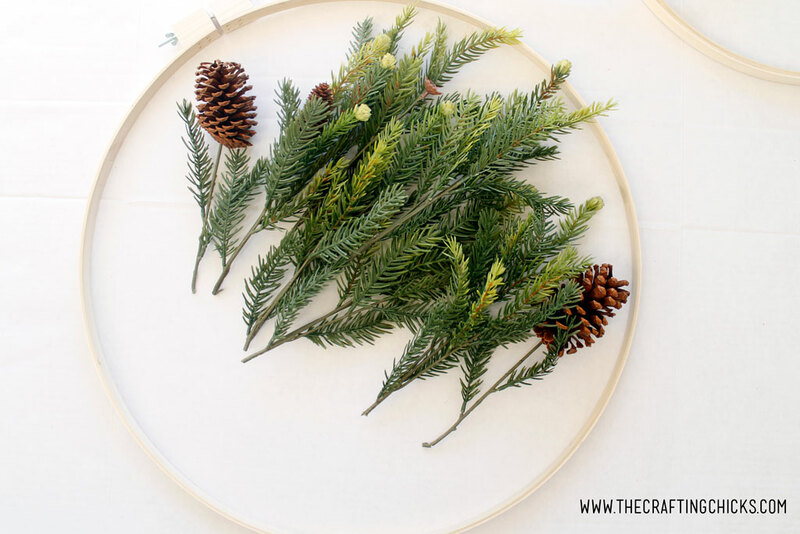 Give me all the hoop wreaths! And Christmas cards. Yes, it took me years to finally do them, but now that I do, I’ll never not send them. I love choosing a design and getting them printed. And best of all, I LOVE receiving them from friends and family near and far. I love them so much, I can’t bear to throw them away. Here’s my stash. Since I’m such a sucker for Christmas cards, you better believe I’m picky about where I order mine. 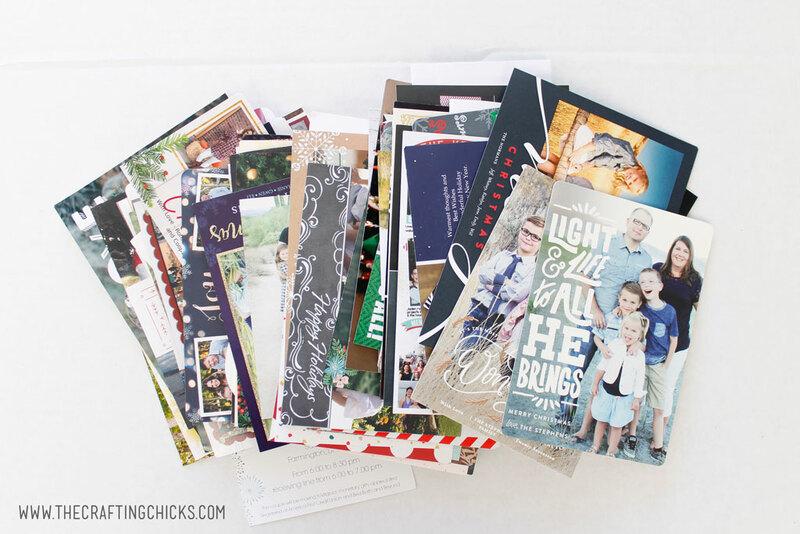 The past 3 years, us Chicks have joined forces with Minted for all our Christmas and Holiday card needs. I’m so impressed with the options that you can get. 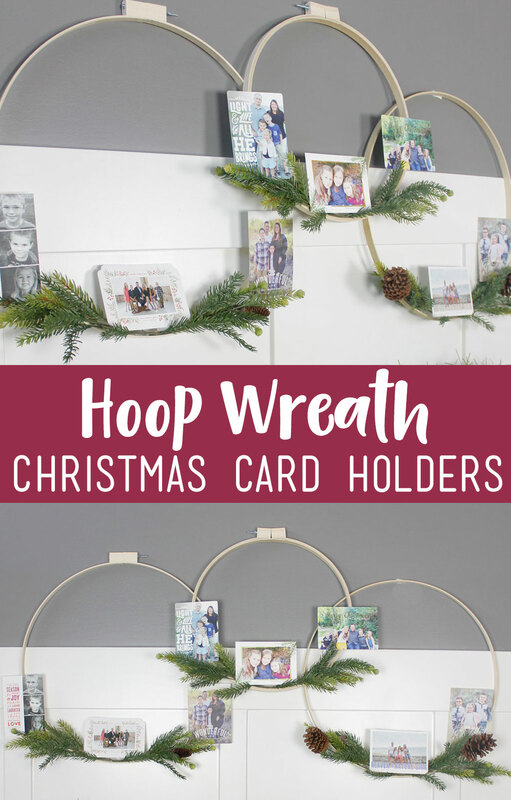 Being a lover of Hoop Wreaths and Christmas Cards gave me a genius idea to combine them to create these amazing Hoop Wreath Christmas Card Holders. Take 2 sections of faux pine that are about the same size. 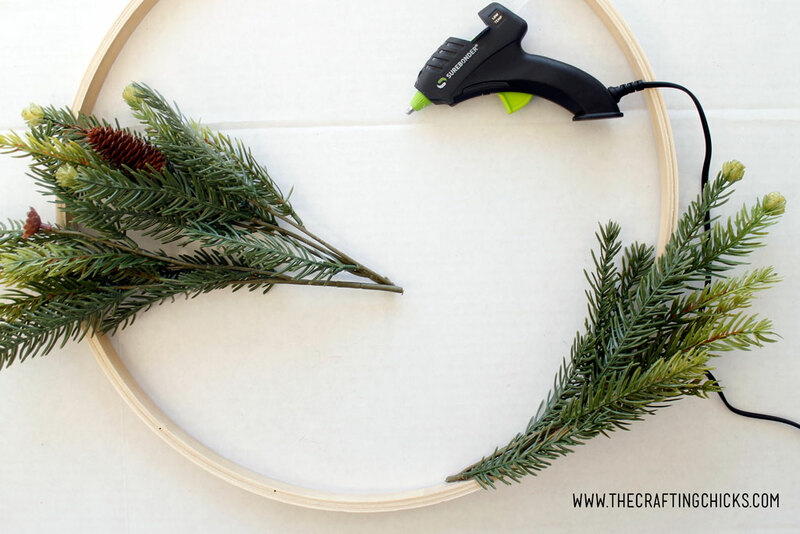 Find the center of your hoop and begin gluing the faux pine to the hoop with the hot glue. 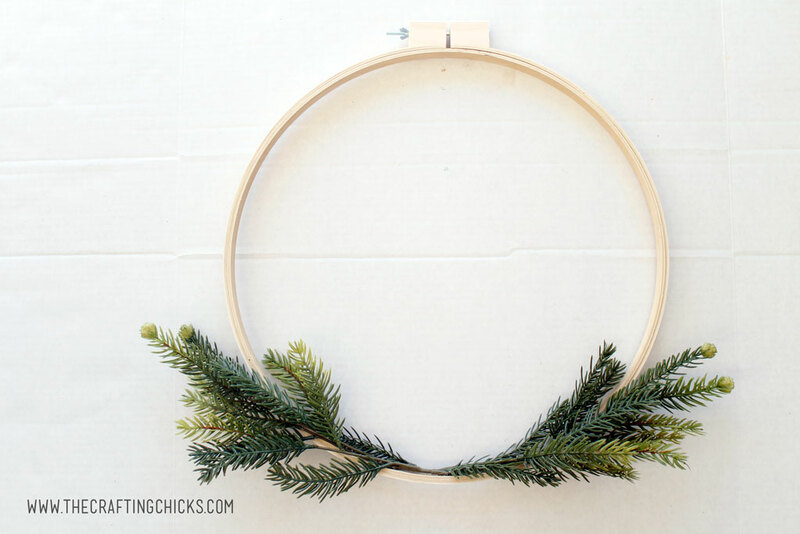 At this point you could add a ribbon or more detail to your hoop wreath. I wanted mine to be simple since I will be adding the Christmas and holiday cards to them. 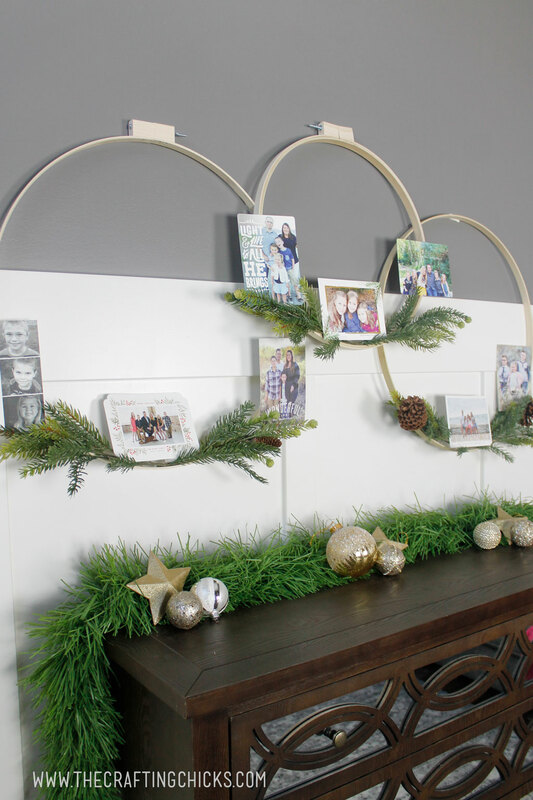 Hang up your holiday hoop wreath(s) to display all your incoming Christmas cards! Now that I’ve solved the problem of how to display my cards this year, please tell me in the comments what I should do with my stash of cards from Christmases past. I love this beautiful idea! I always end up taping our cards to the kitchen cabinets and I’ve been looking for a prettier way to display them. One question: how are you attaching the cards to the hoops? Tape? Thanks! I just tapped them to the hoop wreath. I kept trying to think up something more clever, but want them to be hoop wreaths when we don’t have any cards on them.